A new Pokemon promotion is coming to McDonald’s. 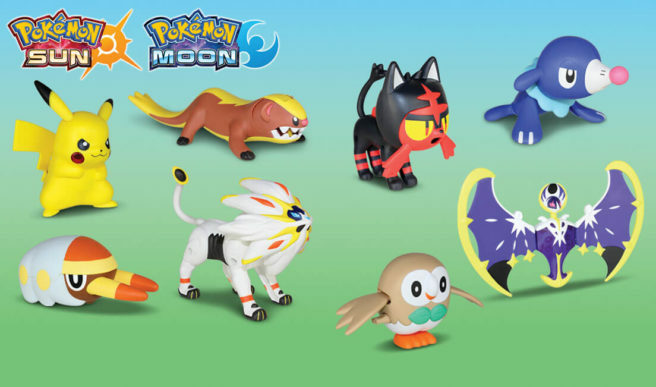 According to the official website, new toys based on Sun and Moon are bound to be offered in Happy Meals soon. The three starting Pokemon, the Legendary Pokemon Solgaleo and Lunala, and more are pictured. We don’t have an exact date as to when these toys will be appearing. The McDonald’s website indicates that they’re up next though, so they’re probably not too far off.